14,255 ft Longs Peak greets the Sun this windy Winter morning. 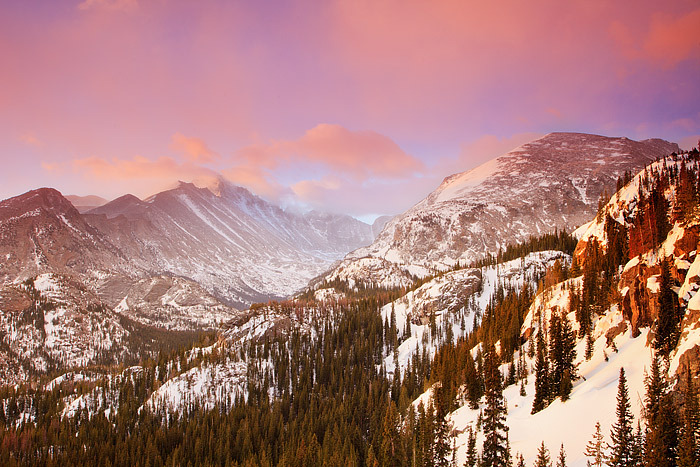 Longs Peak is Colorado's northernmost 14'er and is the most identifiable peak in Rocky Mountain National Park. This view of the west side of Longs Peak was taken near Bear Lake and Flattop Mountain. Photo © copyright by Thomas Mangan.